The first picture of "Star Wars: The Last Jedi" is here!! Cue the opening scroll, because the first picture of the upcoming Star Wars: The Last Jedi is here! The movie might still be 324 days away, but we’ve finally got the first little tease of what’s to come. Grab your kyber crystals, because this is BIG! And when we saw cue up the opening scroll, that’s exactly what we’re going to get: This first picture is just the opening scroll, but listen, Star Wars beggars can’t be choosers. Rian Johnson is certainly having an exciting week. Yesterday, he finally got to drop the name of the highly anticipated Star Wars sequel (The Last Jedi is so cool, and also so ominous). It also appears as if he’s starting to put the whole movie together, and before you know it, we’ll be seeing it with our own eyes. Johnson shared a photo of him, and R2-D2, in the edit bay, looking at the very beginning of The Last Jedi. 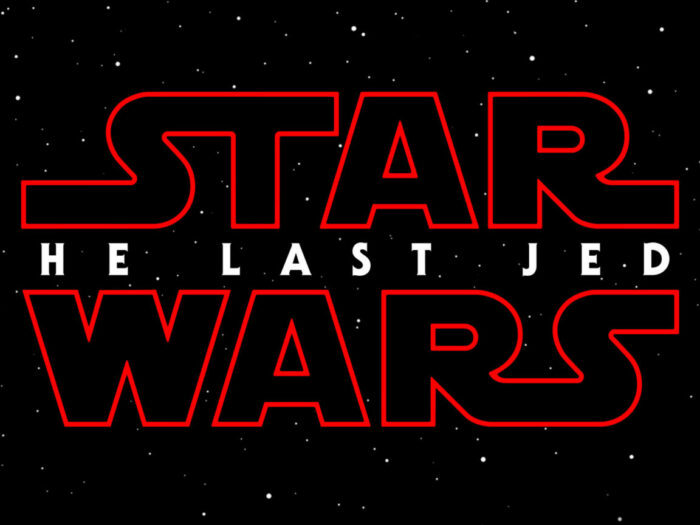 Here’s what we learn from this image: The movie is still very much Episode VIII, and since announcing the title yesterday, the title has not changed from The Last Jedi. Though this picture is in black and white, it’s safe to assume that the movie will not be in black and white but hey, that would be a really cool Star Wars movie. Meme game so strong today. #thelastjedi #YOUWHAT !!! Is it December 15th yet?